American Indians accumulated a rich body of literature in which poetry played a central role. They relied on the sacred power of language to help them through life, creating and chanting poems whenever they felt the need to align themselves with, or appeal to, the mysterious powers that governed all aspects of daily experience. Native Americans used poetry to help them in hunting, in planting, in harvesting, in dancing, in making war, in overcoming trouble, in observing life, in confronting death. Poetry, like property, was communally shared. Any member of the tribe could create a poem, but it then became a possession of the tribe, to be used by all. Often the recitation was by a group, chanting in unison to the accompaniment of a drum. Repetition of phrases and lines, as in song, was therefore common. Poems like these tell a great deal about the people who wrote them and about their culture. These people celebrated nature and saw enchantment in everyday occurrences. The images, or word pictures, are generally drawn from the natural world - a world both beautiful and mystical: the Holy Wind, white light winking, a singing bush, a horse with legs "like quick lightening." Why does a commonplace animal assume the mythic proportions as it does in "The War God's Horse Song?" To answer, one must understand how the introduction of the horse by the Spanish in sixteen-century Mexico drastically changed the nomadic lives of the Navajo. The horse, presented as never thirsty and bridled by a rainbow, was nothing short of miraculous to these people. These are both types of figurative language. 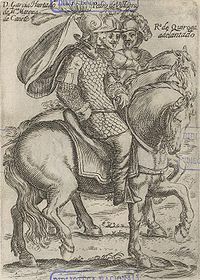 In the poem, many similes and metaphors are used to describe the horse and the relationship between the horse and rider. 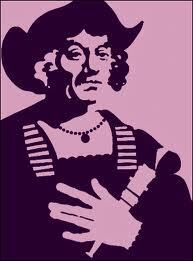 Christopher Columbus was a guy who thought outside of the box. His genius plan to go to India via the Atlantic Ocean lead to the European introduction to the Americas. He made four voyages before his sponsors dried up, and he named the inhabitants there "Indians." He died believing that he had reached India. His accounts of the voyages were responsible for sparking the interest of Europeans who were greedy for gold, natural resources, adventure, and the spread of Christianity. Columbus recorded his observations about the land and the inhabitants; but was he just an open minded observer? Should all of Europe believed his accounts? Use these questions to guide your reading. 1. Who was he writing to? 2. How do you think Europeans might interpret the information in the letter? When looking at the Cabeza de Vaca's narrative, it is important to examine his impressions of the Native Americans. Historically, he was shipwrecked off of the Gulf of Mexico, and from there he had to journey into Mexico in order to find a Spanish colony and return home. 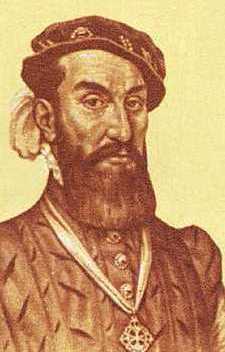 His narrative reveals the Native Americans to be hospitable and kind; yet what impressions and opinions did Cabeza de Vaca have of the Native Americans that is revealed in his account of his travels? So, did the Native Americans earn this opinion? What do you think that the Native Americans thought of the Spanish shipwrecked men? Who was more naive about medicine, the Native Americans or the Spanish?